Private walks are a great option for pups coming off an injury or for the dog who doesn't like to share our attention(we promise we have enough to go around!). 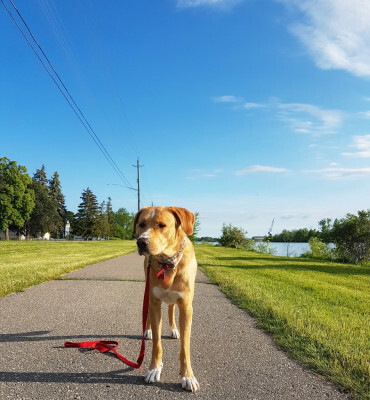 Private walks are 45 Minutes in length and we spend it exploring your neighbourhood and reinforcing basic obedience training while on-leash. 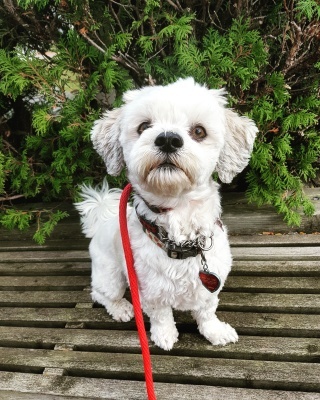 Your pup will benefit from a fun and structured 60 minute on-leash pack walk. We believe exposing a dog to a calm pack will help improve behavioural issues & promote healthy learning amongst each other. All dogs are introduced to a like-minded group to ensure your pup is having fun & getting the most out of his/her walks! *Screening process applies before introducing dogs into a group. 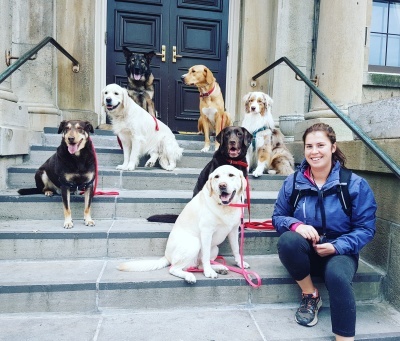 We offer an exclusive opportunity for your athletic pup to adventure an off-site location, where we take advantage of all Niagara has to offer. 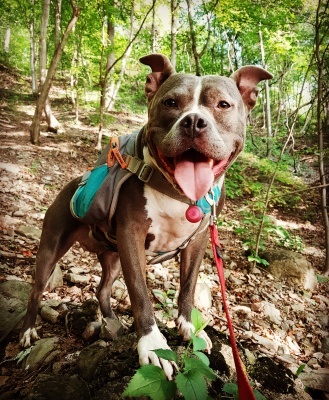 Whether it's hiking the Niagara glen, swimming at the local watering hole or rollerblading along the canal, we promise we have the perfect Trek for Fido. Inspired by the active pup for the active pup! We all know what it's like getting a new puppy and realising how much commitment is envolved. 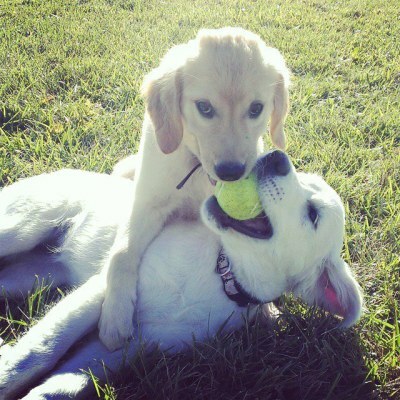 Let us help you by visiting your pup during the day to give him/her some playtime, have a potty break and feed lunch if required! Puppy Visits are either 30 or 50 minutes($30) as requested by owner. *Packages available with 3 month commitment. Camp PACK is offered 2-3 times monthly for all current clients with The Perfect Pack. We offer fun and structured camp days at a private insured facility. 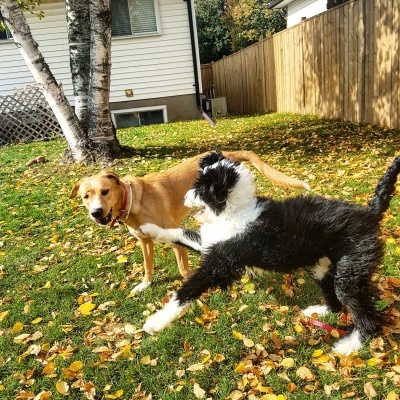 Your dogs day will be jammed packed full of group play(structured and monitored), as well as a long structured pack walk with all their favourite friends at a location of the handlers choice(field trip). Pick up & drop off is included! **PLEASE NOTE: THIS OPTION IS NOT AVAILABLE DURING WINTER MONTHS. 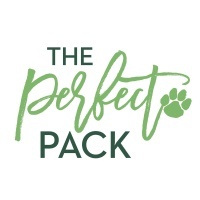 **FOR CURRENT PACK MEMBERS ONLY! We spend 45 minutes working one-on-one with your pup to teach them loose-leash heeling, lessen reactivity, and teach and reinforce basic obedience commands. Owners must commit to continueing training techniques with their dog to keep their training sharp. *Dog must have properly fitted training equipement.